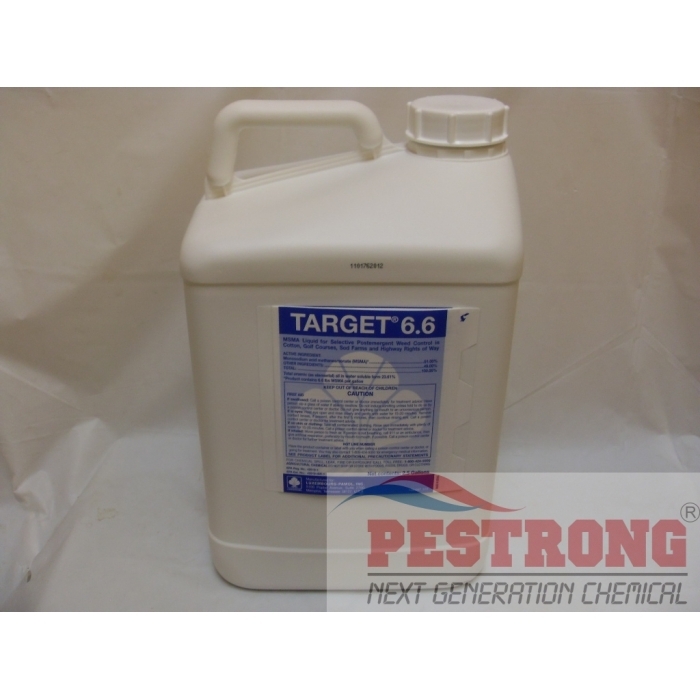 Where to Buy Target 6.6, Target 6.6 Herbicide MSMA - 2.5 Gal - $104.95 for Sale with Fast Free Shipping! Target 6.6 Herbicide MSMA - 2.5 Gal effect against many hard to control weeds and grasses. *6.6 is more ingredient as 51% than target 6 plus herbicide, but not include surfactant. MSMA and ragweeds is like showing dracula the Cross. 1/2 oz of MSMA and 3/4 oz 2,4-d per gallon of water and you can spray right on your bermuda grass. Highly recommend for stubborn weeds. good herbicide, follow the label and will get the promised results. Good stuff, it works very well. I had weed problem, then I got target 6.6, now I don't have weed problem. I've been using this herbicide, and it just works. works like magic, very effective and love how fast it came. This is a very effective product. Unlike 6 plus, surfactant isn't included, but it still works very well. Works great. Controls everything it's put on. This is a wonderful product for control of hard to control undesirable grassy weeds. This product is cost effective also. Better than other crabgrass killer. also cost is more cheaper than other. More A.I, More save, More power. I have used msma in the past and have had great results. msma kills sandburs and that is my biggest problem. this is my third order pestrong is the best fast service and great product great free shipping and a product that works! Very good product and well priced. PESTRONG has excellent products and fast delivery options. I have this outfit BOOKMARKED. We used this product last year on our sandbur problem. It looked as though we were trying to grow a bumper crop of stickers. This did a number on the sandbur's and other weeds, Johnson grass and such in our roadways! Fast and free shipping! dealing with this company is a pleasure!